One time, when I went to the gym – once in a blue moon of course – where I usually ran the treadmills and lifted weights, I decided to ride the exercise bikes. I hadn’t done so in a long time, but I nevertheless remembered the many times I did in high school. I just wanted to exercise my legs. I thought I wouldn’t think anything of it. Maybe it’s because I was a bit older and more concerned about the ideas of efficiency and progress, but I did end up questioning whether the design of the exercise bike was ideal for the purposes I had in mind. I wanted to workout my legs, but all that unnecessary movement that you usually get from the exercise bike or a rowing machine gave a workout to my entire body. Don’t even mention how it felt like I would be split in half at any moment by that demented saddle! There doesn’t seem to be anything wrong with getting a full body workout, but what about people with back problems who want to work out their legs but can’t suffer stress on their backs? What if these are not exercise bikes but real bikes in a marathon? Would a different design be more competitive? Many people think that recumbent exercise bikes are the alternative in these cases. Here is what one looks like from Top Fitness Magazine. If you’re reading this, you’re probably aware of what they are already. We at Stuffoholics are here to get you better acquainted with them and maybe, just maybe, find you the best recumbent exercise bike. Why Should You Use the Best Recumbent Exercise Bike? I remember the time when I started reading reviews for quad bikes. It was admittedly rather confusing. Who reviews the reviewers? I had no clue about whom I should believe and whom I should not regarding what was the best quad-bike. Let me tell you why you should believe our evaluation of what is the best recumbent exercise bike. The first reason is the experience. We have been methodically researching these types of products for the past five years. The second reason is effort. We have spent over seventy-two hours searching for the best recumbent exercise bike. We looked at over forty products across eleven brands and selected twenty-two semifinalists. We selected the finalists from that set, and those finalists of course include the best recumbent exercise bike. Our methodology will be discussed in total in the section “How We Picked and Tested”. We probably could not do a recumbent exercise bike review for every possible recumbent exercise bike out there on the market, but we have clearly looked at many of them. The third reason is objectivity. If only one person researches any topic, there is always a chance that that person injects his or her own personal biases into the subject matter. As a matter of fact, personal biases are unavoidable in this case, because we are asking people to review a product. Nevertheless, we tried to make our conclusions as universal as possible by assigning multiple people to this project and synthesizing their ideas. By no means do we pretend that everyone would agree with our conclusions, but we certainly hope that you see the time and effort that has gone into this undertaking and take it for what it is as you try to find what is the best recumbent exercise bike for you. Men and women all over the world are signing up for gym memberships more and more for many reasons, such as weight loss and a healthy lifestyle. Many of them are even signing up their kids as part of that package. Wait. They’re not giving up their kids; they’re giving them gym members—oh, you know what I mean! In addition to treadmills, weights and elliptical trainers, exercise bikes are a part of those accessories available to these people in gym rooms pretty much anywhere in the world to accomplish those goals. What these people usually see are upright exercise bikes. 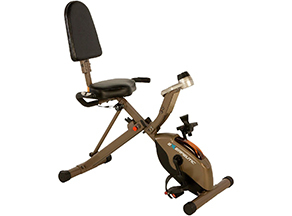 The upright exercise bike features an elevated saddle with handlebars at around chest length, requiring the rider to use his or her hands to hold onto them and bend forward. 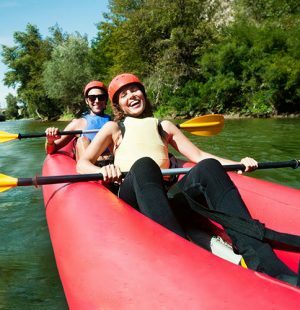 In so doing, the rider activates different muscle groups throughout the body. It is certainly an intense cardio exercise. On the other hand, recumbent exercise bikes have grown as an alternative. As the name suggests, these types of bikes do not have an elevated saddle like a spin bike; instead, they have a seat with a back on which a rider may recline and rest his or her neck. As you may imagine, the rider does not have to grab the handlebars and therefore does not have to bend forward. The machine really only activates the muscle groups in the rider’s legs and would be relatively slower at burning calories than an upright exercise bike. As a note, the experimenter has obtained these results not from exercise bikes but from bikes traveling on roads, but these trends should apply to exercise bikes as well. A recumbent bike stationary in a gym would follow these general trends. 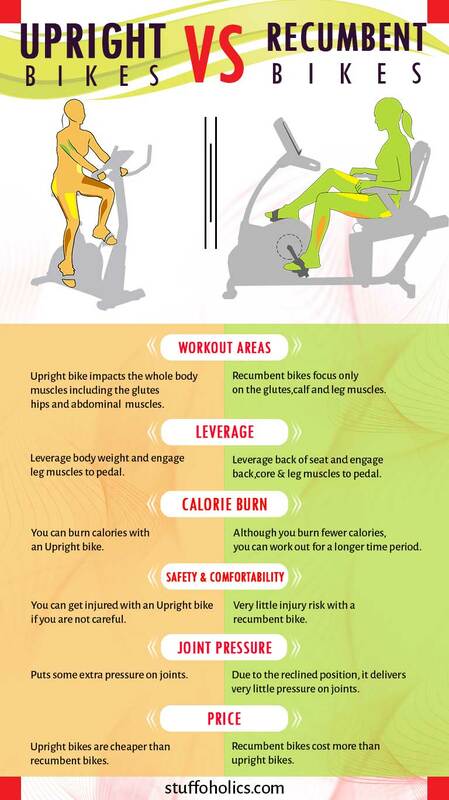 Upright bikes burn more calories than recumbent bikes for a given distance, so upright bikes are more efficient in that sense. However, if a rider travels a greater distance with a recumbent bike than an upright bike, the number of calories could obviously be equalized. Although people see upright exercise bikes and recumbent exercise bikes as direct competitors, they both really have their own niches, and people do not have to use one at the exclusion of the other. There are certain reasons you may want to use a recumbent exercise bike. There are of course many reasons you should exercise in general, but there are also specific reasons you should ride recumbent exercise bikes. Recumbent bikes offer superior aerodynamics, safety, and comfort. Aerodynamics is not as important when you are exercising in a stationary position, but the importance of safety and comfort pervade through all cases, especially for people who have certain disabilities. We all probably have a sense that sitting all day is not healthy for our bodies, but Dr. Joseph Mercola explains that even an hour of exercise may not be sufficient to compensate for sitting the rest of the day. We know that inactivity harms your leg muscles and other muscle groups, but we may not fully appreciate exactly how harmful it is. 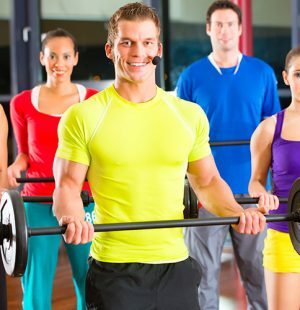 There is not much else you could say to convince someone of the importance of exercise. For people who understand that importance though, why should they use recumbent exercise bikes? Recumbent bikes have an objective advantage over upright bikes in terms of aerodynamics. Air drag, the force from the wind that opposes your motion, increases in proportion to surface area, so you want air drag to be as small as possible. Due to the fact that you are reclining on a recumbent bike, you expose less surface area to the wind, and therefore air drag is less. 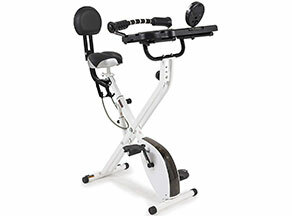 This is extremely useful for marathon riders, who could practice on a recumbent exercise bike. More importantly, recumbent exercise bikes are safer, particularly for the handicapped. By design, there is significantly less danger of falling forward. As mentioned, it also activates the leg muscles and isolates most of the rest of the body, so people with back problems, such as senior citizens, may workout without putting undue stress on their problem areas. Even for people who have had a knee replacement, the recumbent exercise bike tends to place less stress on the knee than an upright exercise bike. Finally, it is apparent to everyone that a recumbent exercise bike is much more comfortable. After all, you do not have to use your hands, and professionals may want to use those extra hands to do work. One size does not fit all when it comes to exercise bikes, and recumbent exercise bikes do not purport to be perfect for everyone. As mentioned, it depends on that person’s needs and wants. Nevertheless, here are some cases where those needs and wants may be best matched with this type of bike. If you are somebody who has had his or her knee replaced or suffers from back problems, the recumbent exercise bike may be right for you. Senior citizens, in particular, are likely to encounter these situations. As mentioned in the section “Why Should You Use Recumbent Exercise Bikes?”, this type of bike is simply safer for people with those types of conditions. If you are a businessperson who does not have a lot of time to devote to exercise, the recumbent exercise bike may be right for you. One of the key features of this type of bike is that it allows for multitasking because you do not actually have to use your hands. Even if you do not have time for exercise, you certainly set apart time to eat, and maybe you could spend that time riding a recumbent exercise bike in your office as well. Just maybe not in your suit. Some people may assume that bodybuilders or athletes would have no use for this type of bike because they should always prefer the higher intensity upright bike. That is definitely not the case. Bodybuilders, for example, sometimes want to, “bulk up,” which means they need a calorie surplus. Generally, this is because bulking up and cutting down repeatedly allows them more control over shaping their muscles. In that case, a bodybuilder may not want to lose weight but also want to train his or her legs. Similarly, American footballers may want to retain a lot of their bulk, because the bulk helps them during tackles. In that case, they may want to increase the strength in their legs without a calorie deficit. In the end, however, you could simply just be an everyday person who wants a more pleasant experience riding an exercise bike. Maybe you just do not appreciate the soreness from your shoulders after exercising your legs. These are only discrete examples, but you should be able to apply all these principles to see whether a recumbent exercise bike is best for you. At this point, you probably have decided that recumbent exercise bikes are the right thing for you. 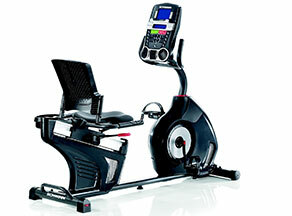 However, how do you decide which one is the best recumbent exercise bike? That is entirely the main point of this article. 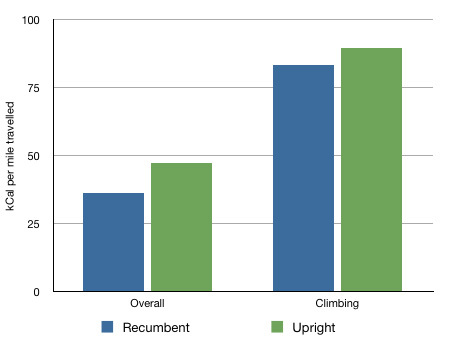 This is the methodology we have used to determine what is the best recumbent exercise bike in all its glorious detail. 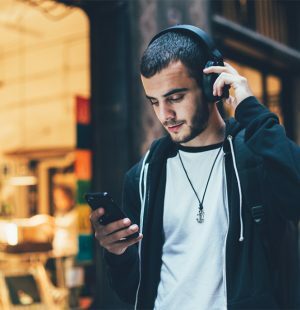 The first step was that we aggregated over twelve thousand user reviews of different products of this context to determine what features were important to and expected from users. These features became the basis for our shortlist criteria. Our shortlist criteria will be used to determine the semifinalists in the third step. The second step was that we found forty different recumbent exercise bikes across eleven different brands and researched them. We determined how those products performed in each shortlist criterium by visiting their websites, reading their product descriptions across different retailers, and evaluating user reviews specifically for that product. Those evaluations allowed us to do tabulate all these products with their relevant features. The third step was that we narrowed the number of candidates to twenty-two using that shortlist criterium. Shortening the list to just these semifinalists allowed us to allocate more resources to do more intensive evaluations per candidate. If we tried to do these intensive evaluations for all forty initial products, the quality of those evaluations would probably have plummeted due to time constraints and the like. 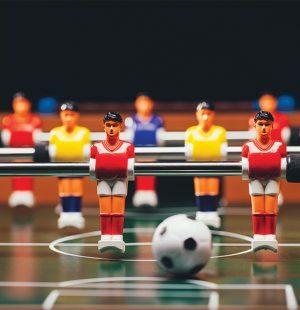 The fourth step was that we performed physical tests on each of those semifinalists. We stratified the volunteers who would operate these products by demographics. Those demographics were by expertise with beginner, average, and expert; by age group; by people with or without physical ailments, such as a knee replacement; and by gender. These physical tests determined our independent criteria because we at Stuffoholics conducted these evaluations ourselves. These independent criteria have been combined into our raw reports, which may be accessed here. The fifth step was that we compiled both the shortlist criteria and the independent criteria to determine what was the best recumbent exercise bike. It was surely no easy task, but not for want of information. The sixth and final step is at where we are. We are humbly ready to render our determination to you. We have looked for thirty positive features in our own research report that recumbent bikes should have. As mentioned in the section “How We Picked and Tested”, we took many of these features from the shortlist criteria, much of which derived from the list of features that the products displayed on their manual instructions or specification sheets. The rest of the features were the ones that were outside of those documents that we determined would be important, as exemplified by our independent criteria. These positive features are also segregated into six categories. We shall use them to evaluate commonly each of these products. 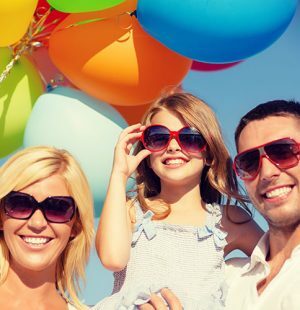 We have considered the pricing for the products and looked for the ones that provide the best value for your money. In other words, we tried to find the best bang for your buck. Just for clarification, we also looked at review frequencies to determine which products we encountered may be obsolete. If one product gets five reviews in a month but another product gets one review in five minutes, we may suspect the latter to be outdated. In addition, if you are unsure what some of these words mean, please check the section “Glossary” below. Before we get into the details, let us explain why the Exerpeutic 400XL Folding Recumbent Bike is our choice for the best recumbent exercise bike. It includes the greatest number of features; is affordable; has the highest average rating on Amazon; has a high review frequency; and is considerably compact, foldable, and easy to store while achieving a high weight capacity and being accommodative of a wide range of user heights. Why is this product our Top Pick? As our top pick this bike has everything you would ever want from a recumbent bike. It doesn’t have loads of fancy extras, but is super affordable and will ride well every time. After looking at thirty features, we have found that this product contains seventeen positive features from our own research report. The products that surpass this product in a number of features are at least three times as expensive. This product sets itself apart from the competition by that fact alone. As alluded, it is also affordable. 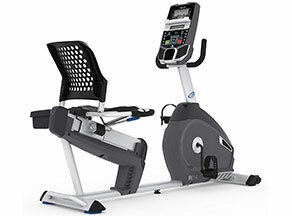 Recumbent exercise bikes range from $100 to $600. This product costs around $150. Of course, the average consumer may worry about the product being cheap, because it is at such a low end in the price range. We want to convince you that it is inexpensive but also a quality product. On top of everything, it is the top rated recumbent exercise bike to users on Amazon at 4.3 out of 5 stars. User reviews, of course, are sometimes unreliable because they are hard to verify, but they should play a role in illuminating the character of a product, especially when in bulk. The high review frequency also demonstrates that the product is by no means outdated. If you are confused by what review frequency means, it means the number of reviews per unit time. In this case, we found that this product received from users on Amazon ten ratings in eight days, ten ratings in fifteen days, and ten ratings in thirteen days, just as general samples. Such a high review frequency means that real people actually buy this product frequently, so it probably at least is not obsolete. Finally, this product is considerably compact, foldable, and easy to store while achieving a high weight capacity and being accommodative of a wide range of user heights. Usually, these two sets of characteristics counterbalance one another, and this product strikes a great balance. All these factors come together to make this our choice for the best recumbent exercise bike. With that, we are ready to present our holistic review. There is no question that there is a lot of quality in the build quality. This is a sturdy recumbent exercise bike with V-Belt Double Drive for the drive and a 3-Piece Crank System for the pedals. It does have magnetic tension with a resistance level of eight, which is normal. The only negative is that the seat and backrest are large and uncomfortable, but it does compensate by being foldable and portable. This 33” x 19” x 46” machine weighs in at forty-three pounds. It could support an individual up to a height of 6’2” and three hundred pounds. The seat and backrest may be adjusted. The gear is easy to assemble and is incredibly quiet during usage. However, although backpedaling is allowed on it, the design is not particularly ideal for that. This product does include many display features of quality, but it is also noticeably missing some as well. It does have a 3.3” LCD monitor with pulse rate monitoring. It also measures speeds, distances, and calories in terms of workout metrics. However, it does not include mixed reality training, performance tracking, Bluetooth, and an odometer. As already mentioned, at around $150, this product is quite affordable. There are no media racks, holders, speakers, or other special features. You may be surprised that we are not saying that the Exerpeutic 400XL Folding Recumbent Bike is perfect. It does not include a lot of the extra features present in other machines, such as mixed reality training. Fundamentally, however, it includes all the features you would need to ride a recumbent exercise bike, and all those features that are included are of a high caliber. With its affordability, we are happy to say that this our choice for the best recumbent exercise bike. Another solid recumbent bike, that is built really sturdily and isn’t expensive at all. It doesn’t have lots of extra features, but is a really popular model. In complete honesty, we were at a bit of an impasse deciding between this Marcy recumbent exercise bike and what would eventually become our choice for the best recumbent exercise bike. They were at a bit of dead heat, so we had to do extra research to determine which one would reign supreme. Much like the Exerpeutic 400XL Folding Recumbent Bike, this Marcy recumbent exercise bike contains 16 positive features from our own research report out of the 30 features. In addition, it is the most affordable product after our budget choice, coming in at around $125. With over two thousand reviews from users on Amazon, it retains 4.1 out of 5 stars, which is excellent. It also has a high review frequency. Nevertheless, none of these factors are significantly different enough to judge between these two choices. What became the deciding factor was the portability. 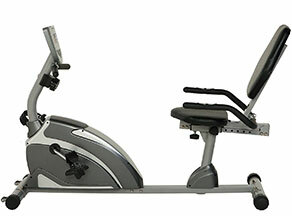 Both recumbent exercise bikes are portable, but the Marcy recumbent exercise bike is not foldable, and, as you can see for yourself, it is bulkier. It is not so big you would need to store it in your garage, but it is noticeably bigger. 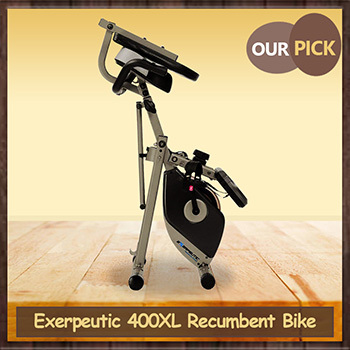 Although the wood finishing and the gray color surrounding it give it a nice aesthetic touch, the extra portability from the Exerpeutic 400XL Folding Recumbent Bike gives it the edge. Nevertheless, the Marcy recumbent exercise bike is by no means a pushover, and it has its own distinct advantages over the competition as well. As mentioned above, there is no question that this machine is not foldable, but it is certainly portable, and it stands out for having an exceeding sturdiness to it. The drive is magnetic, and the pedals are adjustable, counterbalanced footsteps. There is magnetic tension, and the resistance level is eight, which is normal. The seat and backrest are padded and comfortable. This 55.5” x 25” x 37.5” machine weighs in at sixty pounds. It could support an individual up to a height of 6’4” and three hundred pounds. The pedals and seats are adjustable. The gear is easy to assemble and is quiet during usage. One thing the Marcy recumbent exercise bike has that the Exerpeutic 400XL Folding Recumbent Bike does not have is an odometer. On the other hand, the Marcy recumbent exercise bike does not have a pulse rate monitor, which is a pretty big deal. Otherwise, they have – and lack –similar features. This product displays a 3.5” LCD screen, and you power the machine with two double-A batteries. Workout metrics will contain information relating to speed, distance, and calories. However, this product does not have mixed reality training, performance tracking, and Bluetooth. As mentioned, at around $125, this product is marvelously affordable. There are no media racks, holders, or speakers. However, it does have one special feature. Unfortunately, it is not a good one. Our reports suggest that the monitors are complicated to use. Although bit bulkier, it is nevertheless a worthy runner-up. Fundamentally, the Marcy recumbent exercise bike is a strong machine. We got that sense from it immediately. It does not have a lot of those extra features, like performance tracking, but it performs excellently on most of the essential features you would need for a recumbent exercise bike. Why is this product our Beginner’s Choice? This bike is the model for anyone who is new to cycling. It has lots of easy to understand instructions, and is a nice cheap model for you to start out with. 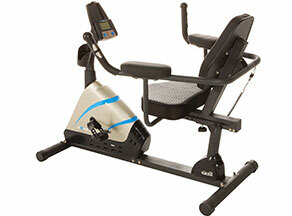 We recommend the Exerpeutic 900XL Extended for first-time users of recumbent exercise bikes. The reason it is our beginner’s choice is because of how easy it is to assemble the machine. You would not have to spend hours trying to put it together. The instructions explain the process completely and efficiently. We have found that a complete beginner could even assemble the machine in an hour. Nevertheless, there are reasons this is our beginner’s choice, not our choice, like its counterpart from the same brand. It is absolutely neither foldable nor portable. It may seem like it is easy to transport it in this picture. Trust us. It really is not. At around $170, it is also not as affordable as the top two options. However, it does have sixteen positive features from our report out of thirty features, like our runner-up. Nevertheless, we do advise beginners to take a closer look at this product. As has been discussed at length, this machine is not foldable, and it makes no pretenses at being portable. That being said, it is a sturdy machine driven by a balanced flywheel and a V-belt drive. It has magnetic tensions with a resistance level of eight, which is normal. The seat and backseat are large, but they are not uncomfortable. This 54” x 22” x 34” machine weighs in at sixty-three pounds. It could support an individual up to a height of 6’6” and three hundred pounds. Only the seats are adjustable. The kit is remarkably easy to assemble and is quiet during usage. It does allow for backpedaling, with some resistance. This machine does have an LCD with a pulse rate monitor and workout metrics measuring speed, distance, and calories. However, it does not have mixed reality training, performance tracking, Bluetooth, and an odometer. As mentioned, at around $170, this product is a bit pricier than the top two options, but it is by no means expensive. There are no media racks, holders, or speakers. It does, however, have a step-through design. This product is really ideal for a person who has never set up a recumbent exercise bike in the past and does not plan to move it like décor. Just like the top two cases, it does not include accessories that are not absolutely necessary for the recumbent exercise biking experience. It certainly serves as a great introduction to that world, however. This bike is really one of a kind. It is the only bike that converts into an upper body cardio machine too! If you want a full body workout, this is the choice for you. The FitDesk 3.0 surpasses its predecessor FitDesk 2.0 by a huge margin. The reason it is our advanced choice is frankly because it offers many features not present in any of our other choices. 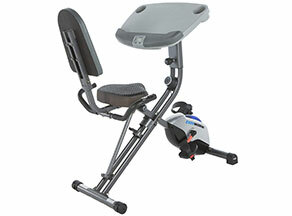 Most significantly, this product could convert from a recumbent exercise bike into an upright exercise bike. As the name suggests, it also provides a desk of sorts on which users may work. This probably appeals a lot to professionals or people who like playing on their laptops a lot. In addition, it also allows for upper-body cardio exercises. Make no mistake. These multi uses have a lot of power to them. That being said, it does suffer from two factors. The first is that it costs significantly more money than anything at which we have looked in this article yet at around $230. You certainly would not think this is a bargain on sale. It also contains only fourteen positive features from our research report of thirty features. However, it does make up the ground with an average of 4.2 out of 5 stars from over fourteen hundred users on Amazon. It also has a high review frequency, which demonstrates that it is being purchased by many people. There is give-and-take with any product, and let us see whether this one is right for you. The FitDesk 3.0 is indeed both foldable and portable. Yes, a folding recumbent bike has returned. This machine is durable, having magnetic tension and a resistance level of eight, which is normal. The handlebars are much like massage rollers. The seat and backrest are also comfortable. This 28” x 16” x 45” machine weighs in at forty-five pounds. It could support an individual up to a height of 6’6” and three hundred pounds. The seats and backrest are adjustable. The kit is remarkably easy to assemble and is quiet during usage. Surprisingly enough, this machine has an LCD screen, but no other display features. It does not even have a pulse rate monitor. It is one of the few of our options that actually lacks workout metrics. Don’t even ask about all those other accessories. It is a deliberate design choice, however, as the convertibility probably limits the options available to this machine. This is an around $230 machine, so it is definitely more on the expensive side. As mentioned before, this machine does allow you to do upper body cardio. It also has a tablet holder, a desk, and a storage tray. However, it has neither a rack nor speakers. This can still be a nice addition to your home gym. FitDesk 3.0 frankly has a very specific audience. It lacks a lot of display features, but in return, you get to convert it into an upright exercise bike and do upper body cardio. As you could see from the pictures, this is also not something you would have to drag across the flooring of your house. It is quite portable. Is it worth it, however? That is only for you to decide, but this is our advanced choice. This is our budget choice bike. It is built well, nicely cushioned and has all the essentials you will need to cycle away. On top of that it is really cheap and affordable for all. 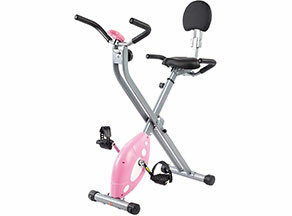 The Sunny Health & Fitness Recumbent Exercise Bike SF-RB1117 is by far the most affordable recumbent exercise bike on the market, and the pink color probably pops out at you right away. With its price range being around $100 to $110, it would not put much of a strain on anyone’s budget to purchase it. As a note, we actually first found the price at under $100 at one point, probably on sale. Just make sure you are aware that the prices do fluctuate a little over time on Amazon. That being said, although it has the lowest price of our options, it actually outperforms a lot of the costlier options by boasting fourteen positive features from our own research report out of thirty, parrying the same number of positive features as the FitDesk 3.0 Desk Exercise Bike. At this price range, that number of positive features seems justifiable. This product also enjoys a high review frequency, so it certainly is not obsolete. 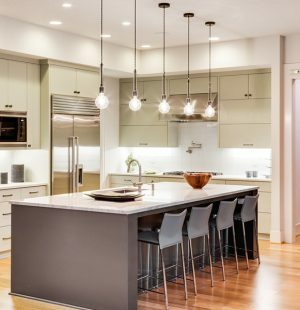 Will this give you the bang for your buck? We shall find out. However, at least you would not be spending an inordinate amount of bucks for this, in contrast to some other options for which we have studied. You may not expect it, but the device is very strongly built. As usual, it does have magnetic tension and a resistance level of eight, but it only has a flat belt drive. The pedals are non-skid with straps, and the seat and backrest are cushioned for your benefit. In addition, as you may expect from looking at the pictures, this machine is both foldable and portable. This 44.9” x 18.1” x 34.2” machine weighs in at 36.8 pounds. It could only support an individual up to a height of 6’1” and two hundred twenty pounds. The seats are only adjustable vertically. The kit is easy to assemble and is exceedingly quiet during usage. It definitely allows for backpedaling, however. The machine does have an LCD screen and receives power by wiring, which is a good design choice. However, it does not have a pulse rate monitor, mixed reality training, performance tracking, and an odometer. Most troubling, however, is that it does measure your speed, but the speed it reports to you is actually inaccurate. This is our budget choice. It costs around $100 to $110 and has actually cost under $100 at one point. This is as inexpensive as you could get with these types of products while maintaining respectable quality. This is our budget choice, so no one should expect this product to have many luxuries. There are certainly compromises made to the design due to the limited cost, such as a flat belt drive, which is an inferior drive (as explained in the “Glossary” section below). That being said, if you are strapped for cash, this recumbent exercise bike includes all the essentials you would need to accomplish your goal. Obviously, just do not expect anything state-of-the-art. For a progressive and advanced bike, then this could be for you. It is a bit more expensive, but it comes with a lovely finish, thick seat and other handy storage accessories. The first thing you would probably notice about this recumbent exercise bike is that there are no handles. There is a bit of a grip next to your thighs, but nothing else. It is certainly a peculiar layout. Nevertheless, this machine is made of steel with a powdered coated finish and contains a V-belt double drive. It has magnetic tension with a resistance level of eight, which is normal. It also has a thick airsoft seat, which absolutely has a sense of luxuriousness to them. Finally, this product is foldable and portable. This 45” x 51” x 25” machine weighs in at 64.7 pounds. It could support an individual up to a height of 6’3” and three hundred pounds. The seats are only adjustable vertically. The gear is quiet during use and allows for backpedaling. The screen is a standard LCD, but the machine is powered by batteries, which may not be ideal. The product does feature a pulse rate monitor, workout metrics measuring speed, distance, and calories, and an odometer. However, it features neither mixed reality training nor performance tracking. This is around a $230 machine, so it is definitely more on the expensive side. The machine has a tablet holder, a desk, and a storage tray There are no media racks, speakers, or other special features. This product is certainly on the more expensive side than many of the other ones. In a sense, it is similar to the advanced choice, except that this product sticks to traditional themes, whereas our advanced choice ventures out more for its price. This product is definitely made for people who would use laptops while exercising, however. This bike is one of the most advanced recumbent bikes we have seen. It has many cool display features, with new programmes to cycle on, but to get this you will need to pay a lot! This machine is not for those who want something foldable and portable. The drive is based on inertia. The product does use magnetic tension and has a resistance level of twenty, which is higher than normal. In other words, you may get more of a workout. The seat and backrest are vented. This 67.8” x 28” x 12.5” machine weighs in at a staggering ninety-three pounds. It could support an individual up to a height of 6’4” and three hundred pounds. Only the seats are adjustable. The gear is incredibly easy to assemble and is remarkably quiet during usage. The display features are where this product shines without a doubt. There are two dual track LCD screens. There is a pulse rate monitor, but it requires contact. The machine is powered by USB, which is quite technologically savvy. Most importantly, it does have goal tracking built into it, with twenty-two other programs to boot. If that is not enough, there are nine separate profiles to store your workout metrics. The only things this product does not have are mixed reality training and an odometer. For a product like this, mixed reality training would honestly have been a nice addition. This is around a $380 machine, so it is definitely expensive. The machine has a media rack, speakers, and fans, but it does not have holders. This product has an extremely specific but important niche in the market. This is for people who are not averse to paying a premium for the most technologically advanced programs for the recumbent exercise bike experience. For that reason, it is a bit peculiar that the designers have not included mixed reality training in the package. There is not really a reason mixed reality training should be on the bench, given the target audience for this product. This is also not a machine that could be folded, transported, or really even picked up easily. Overall, it does deliver on a lot of features that a lot of our other options would not touch with a ten-foot pole. This is another advanced bike that boasts various monitors and new display features, as well as speakers and various storage areas. But it is very expensive, and costs much more than other bikes. The sturdy aluminum frame of this machine establishes the tone for the rest of it. 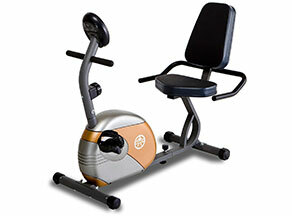 This is an item of luxury, with many features that are not present in many other recumbent exercise bikes. For example, it has a resistance level of twenty-five, which is the highest on our list. It also has a grip pulse monitor and a vented seat. The drive is based on inertia. As you could immediately see from the picture, however, you are not folding it or transporting it anywhere anytime soon. This 66.5” x 12.5” x 27.5” machine weighs in at a staggering ninety-three pounds. It could support an individual up to a height of 6’3” and three hundred fifty pounds. Many aspects of the machine are adjustable. The gear is difficult to assemble and is quiet during usage. Schwinn absolutely left no stone unturned with all the display features it has included in this beautiful machine. You get two blue backlit LCD displays. The pulse rate monitor operates by contact and telemetry. You power the device with a USB cable. Hold the applause, but we finally have a recumbent exercise bike with mixed reality training! In particular, it uses the RideSocial App. It also has its own custom-designed app for performance tracking. It measures your workout metrics with speed, distance, and calories. It also has Bluetooth and twenty-nine programs installed. Finally, it has an odometer. It literally has every display feature. This is around a $550 machine. In other words, it is expensive and does not even try to pretend it is not. The machine has a media rack, a cup or bottle holder, and speakers. However, unfortunately, the seat is slippery. This a very complicated product to judge. Like the Nautilus R614 Recumbent Bike, it appeals directly to the tech-savvy audience that wants to get into recumbent exercise bikes. Just to get it out of the way, yes, it is extremely expensive. There is no doubt about that. However, there is also no question that you get more display features than probably any other recumbent exercise bike on the market. There probably would not be something you could imagine it lacking digitally. Where it does fall short, ironically, is on the simpler stuff. No one expects a contraption like this to be foldable or portable, but the instructions are by no means easy. You also get a slippery seat, which could legitimately become annoying after awhile. You do not want to erect a gigantic building on a rocky foundation. Nevertheless, you do certainly get a lot for all that money you would spend. This bike does a good job, with lots of great features, but overall it is a bit too expensive for what it does. There are other picks that are the same, but are much more affordable. This machine is made from heavy-duty steel with a drive based on high torque. It has magnetic tension and a resistance level of eight, which is normal. The pedals are large and have straps. The seat and backrest are cushioned. The product is foldable and portable. This 48.5” x 24” x 46” machine weighs in at 54.7 pounds. It could support an individual up to a height of 6’5” and four hundred pounds. Only the seats are adjustable. The gear is quiet to medium in loudness during usage. However, the user cannot backpedal on this machine. The machine has a large LCD monitor and a pulse rate monitor requiring contact. Unfortunately, it is powered by batteries. It measures workout metrics with speed, distance, and calories and features an odometer. It does not have mixed reality training, performance tracking, and Bluetooth. This is around a $200 machine. It is on the more expensive side. The machine does have a step-through design. It does not have a media rack, holders, or speakers. 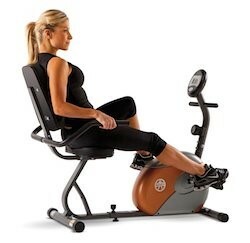 This product is certainly more aesthetic than most other recumbent exercise bikes. It does do a lot of features well, but there are other options that do the same things but at a much lower cost. It simply just is too conservative to justify the extra price to it. Maybe the extra cost comes from the aesthetics, but this is not a laptop. People probably are not going to want to pay much of anything for a better-looking design. If it included performance tracking, for example, maybe the extra cost could be more justifiable. Like some of the other bikes in our list, this one is a tool expensive for what it is. It doesn’t have any awesome features that justify its price, so we’d stick with another cheaper option. This machine is not foldable, but it is portable. With a contour padded grip and a large airsoft seat and backrest, it does add additional comfort to the experience. Magnetic tension exists and the resistance level is eight, which is normal. The pedals are large and have straps. This 54” x 22” x 34” machine weighs in at sixty-three pounds. It could support an individual up to a height of 6’4” and three hundred pounds. Only the seats are adjustable. The gear has a medium level of difficulty to assemble. The machine has an LCD screen with a pulse rate monitor requiring contact. It can be powered with an AC adapter. It does have an odometer and six programs installed. It also measures workout metrics with speed, distance, and calories. It does not have mixed reality training, performance tracking, and Bluetooth. This is around a $330 machine. It is definitely an expensive machine. The machine does have a step-through design with holders. It has neither a media rack nor speakers. There is nothing fundamentally wrong with this product from a design point of view. The problem is that there is nothing that could seemingly possibly justify the expensive price tag on it. Maybe the six programs are supposed to be reason they cost so much, but, in the end, you are really getting the performance of less costly products from Exerpeutic. The company is probably trying to appeal to that tech-savvy audience numbers 7 and 8 are eyeing. Although less expensive than those two products, this item is leagues behind them technologically. We would recommend just getting the other Exerpeutic products described instead. Contact Pulse Monitors are heart rate monitors that touch your body to monitor your pulse. In terms of recumbent exercise bikes, these are usually embedded in the handlebar. Magnetic Resistance Level is a modern method of creating tension as you pedal. Two magnets are connected on each side of a flywheel. If you want to increase the tension, you move the magnets closer to the flywheel. If you want to decrease the tension, you move the magnets farther away from the flywheel. V-Belt Double Drives are an innovation to drives. Drives translate mechanical power between different components within a machine. However, normal drives, i.e. flat belt drives, require precise alignment, or else the belts may roll out from the pulleys. V-Belt Double Drives improve upon that design by changing the shapes of the parts in such a manner that such malfunctions become less likely. This Quora article provides two images that illustrate the difference in design. The first is of a flat belt drive. The second is of a V-belt drive. Balanced Fly-Wheels decrease vibrations when the fly-wheels are spun. In general, fly-wheels store the rotational energy generated by revolving the pedals on an exercise bike. They tend to be hidden within the machine. If the weight is maldistributed across a fly-wheel, however, some of that energy is lost to vibrations; therefore, you want to minimize that loss. That loss may be mitigated by redistributing the weight on the fly-wheel; i.e., balancing the fly-wheel, such as by lobbing off some of the metal. Backpedaling is pedaling in reverse. This is recommended by many physicians to patients who have had their knees replaced. As mentioned, the section “Our Top Ten Product List” is based on the raw reports we have gathered from research and experimentation, which may be accessed here. It may turn out that you disagree with our recumbent exercise bike reviews after evaluating the data yourself, after all, and find a device that better fits your needs in that manner. If you do want to look at the data yourself, one useful trick would be to look at all the features we have evaluated and make a list of the most important features you would want on a recumbent exercise bike. For example, if performance tracking is really important to you, put that on your list. If ease of assembly is not because you happen to find building these contraptions rather facile, then leave that off the list. Once you have compiled that list, you can use that to look through our data and eliminate recumbent exercise bikes that really would not do much for you. You may even want to look at all the semifinalists as well. Once all that is done, you may be able to choose the best recumbent exercise bike for you more easily and independently. You probably have noticed it by now, but let us state the obvious: recumbent exercise bikes uniquely seem to be tailored to so many different types of people. You have the Nautilus R614 Recumbent Bike, which should impress anybody who likes to exercise and also work with electronics. 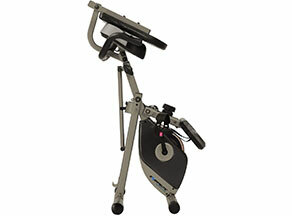 You have the FitDesk 3.0 Desk Exercise Bike, which is maybe for athletes who want the best of both worlds. Of course, you also have our choice for the best recumbent exercise bike, which tries to strike a balance among all these attributes. This diversity in recumbent exercise bikes may indeed be a striking parallel to the diversity for which the fitness world should strive in general. In the end, I hope we have explained not only our conclusions but our methods at arrive at them adequately. More importantly, I hope you can see from our journey how passionate we are on the topics of health and alternative means of improving it. If this helps you in any way, this journey has been more than worth it.